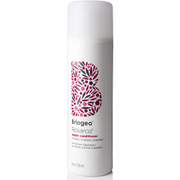 Don't Despair, Repair!™ Deep Conditioning Mask from Briogeo is a deeply hydrating treatment for lack-lustre locks. Suitable for dry, damaged hair caused by chemical or colour treatments, heat styling tools and sun exposure. The lightweight mask is enriched with natural avocado oil to replenish hair, lock in moisture and provide antioxidant protection from environmental stresses. Its unique B-vitamin complex improves the hair's texture, repairing split ends and preventing breakage to leave hair silky soft and healthy-looking. Rosehip and sweet almond oils smoothen cuticles to control frizz, nourish weak hair and enhance shine for luscious locks. E.N. 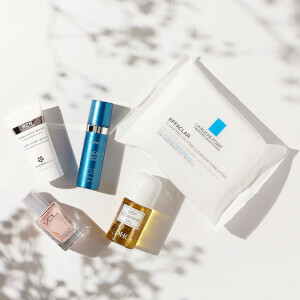 Free from silicones, parabens and phthalates. Cruelty-free. Water, Aloe Barbadensis (Aloe) Leaf Juice, Brassicyl Isoleucinate Esylate (Plant Derived), Brassica Alcohol (Plant Derived), Cetyl Alcohol (Vegetable Derived), Stearyl Alcohol (Vegetable Derived), Propanediol (Corn Derived), Cetrimonium Chloride (Vegetable Derived), Cetyl Esters (Coconut Derived), Prunus Amygdalus Dulcis (Sweet Almond) Oil, Argania Spinosa (Argan) Oil, Persea Gratissima (Avocado) Oil, Rosa Mosqueta (Rosehip) Fruit Oil, Isopropyl Myristate (Vegetable Derived), Panthenol (Provitamin B5), Biotin, Hydrolyzed Keratin, Hydrolyzed Collagen, Hydrolyzed Silk, Helianthus Annuus (Sunflower Seed) Oil, Zea Mays (Corn) Oil, Cholecalciferol (Vitamin D), Retinyl Palmitate (Vitamin A), Tocopheryl Acetate (Vitamin E), Cedrus Atlantica (Cedarwood) Oil, Elettaria Cardamomum (Cardamom) Oil, Abies Sibirica (Fir Needle) Oil, Citrus Medica Limonum (Lemon) Oil, Pogostemon Cablin (Patchouli) Oil, Lavandula Angustifolia (Lavender) Oil, Citrus Aurantium Dulcis (Orange) Oil, Citrus Grandis (Grapefruit) Oil, Panax Ginseng Root Extract, Calendula Officinalis Flower Extract, Isododecane, Guar Hydroxypropyltrimonium Chloride (Natural Guar Gum), Citric Acid, Dehydroacetic Acid, Benzyl Alcohol. It came as a sample and used it yesterday. It has made a huge difference in my hair--got rid of frizz and dryness as promised. I am buying it today. I have used top (expensive) brands and not seen this level of conditioning in a deep conditioner.